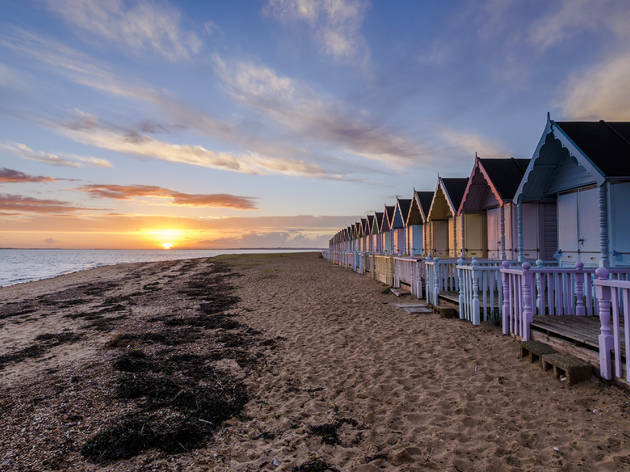 There are plenty of ways to escape London - from lush park walks to weekend village breaks - but sometimes a trip to the seaside is the only way to reset and unwind. 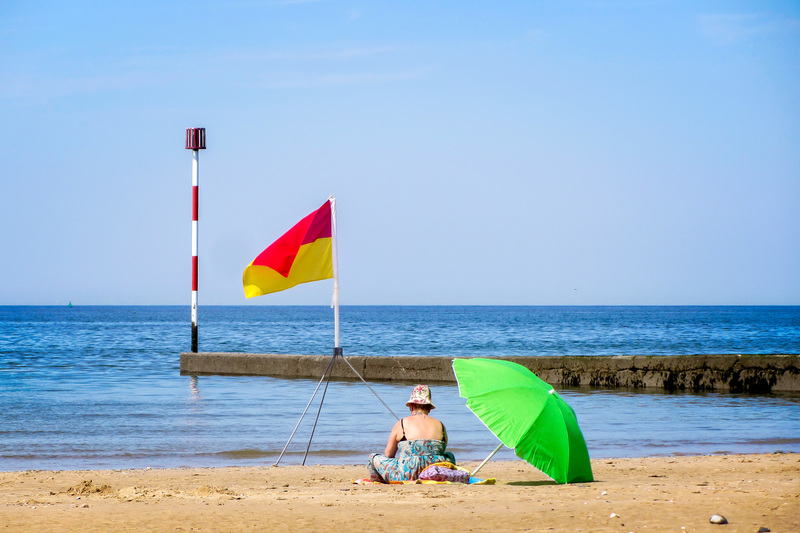 London-lubbers needn’t trek far for a brilliant beach; the capital is well connected to some of the best beaches in the country, and in less than two hours, city folk can find themselves oceanside making sandcastles, spotting wildlife, and copping a lungful of fresh salty air. 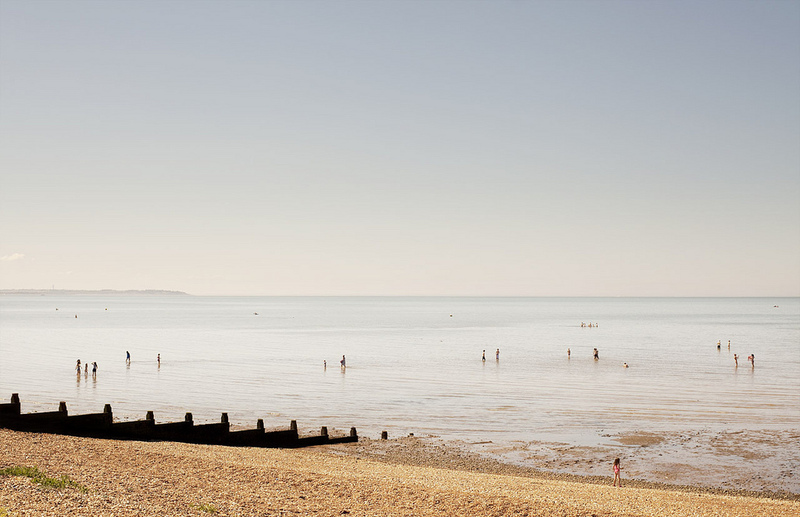 From the fresh oysters on the foodie coastline of Mersea Island to seal-spotting and fossil hunting at Walton-on-the-Naze - here’s our guide to the best beaches near London. 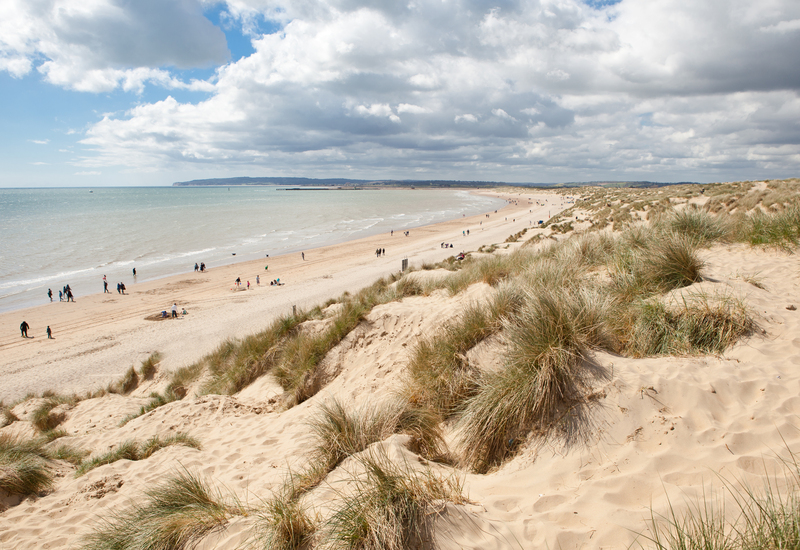 Four miles from Rye in East Sussex, the impressive dunes system that makes Camber Sands the south coast’s most Arabian-looking beach destination is filled with wonders, from the marram grasses and pretty chestnut fences that help keep the sands from shifting to the Kit Kat Café, perfect for watching kitesurfers on the water and horseback riders along its edge. A number of 'desert' films were shot here, including ‘Carry On Follow That Camel’. 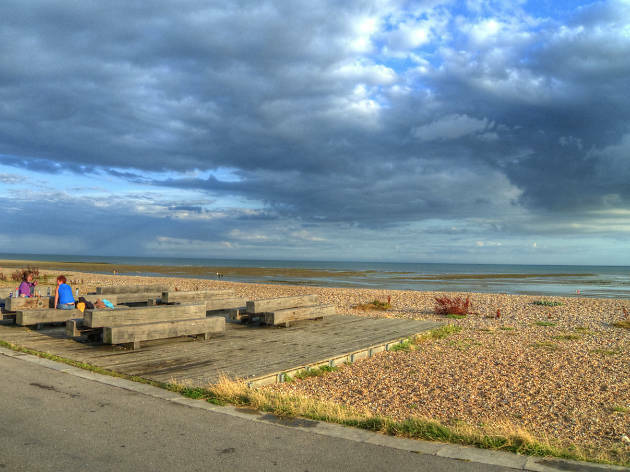 Get there: one hour 40 minutes by train from London St Pancras International to Rye, with a change at Ashford and a short bus ride to the beach; approx two hours by car. 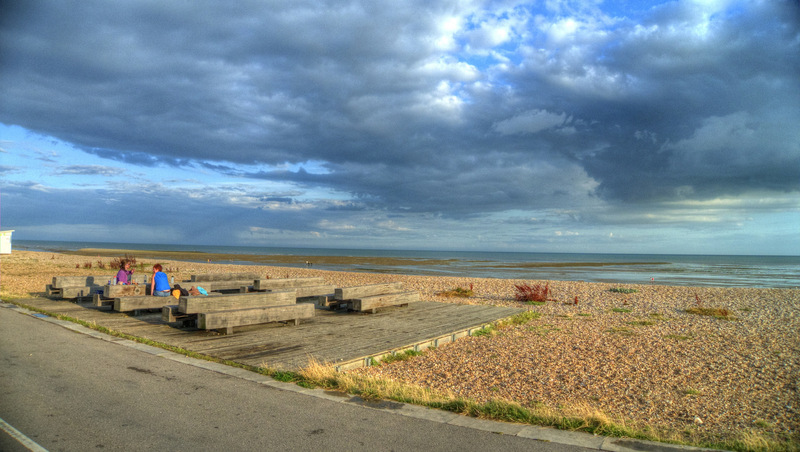 The Street, a 750-metre-long stretch of shingle that pokes out from Whitstable's pretty Tankerton beach at low tide, offers lovely views back to the groyne-dotted beach, and beyond it the colourful clapboard houses and beach huts of nearby Whitstable. When you've had your fill of beach time, it's time for a bellyful of the town's native oysters; head for Harbour Street and High Street for a fantastic selection of places to try them. 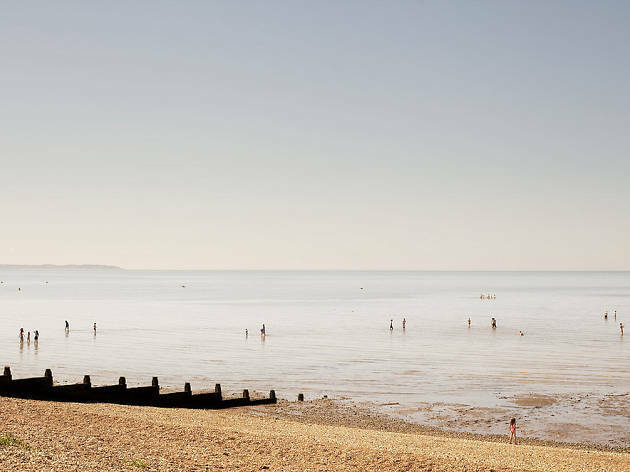 Get there: one hour 20 minutes by train from London Victoria or one hour 10 minutes from St Pancras International to Whitstable; approx one hour 40 minutes by car. 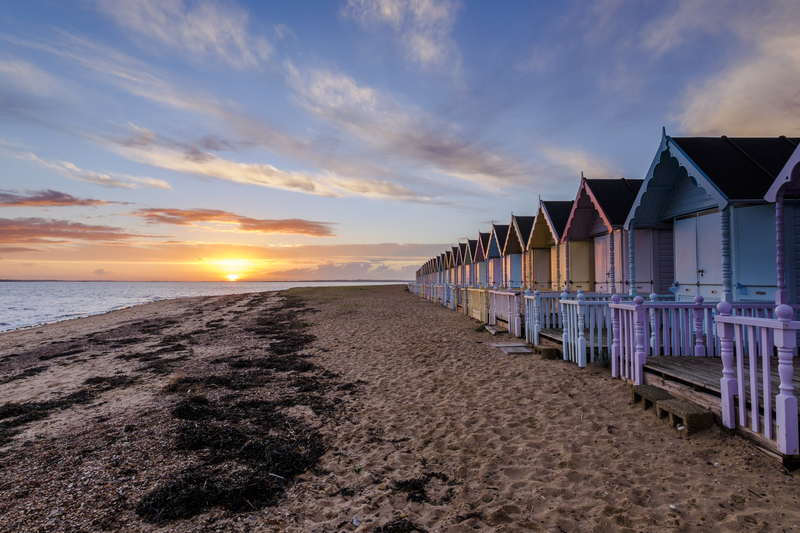 Weathered shabby-chic beach huts on a huge Blue Flag beach makes this West Sussex spot one of the south coast’s finest for all kinds of beach activities. You can get involved in sunbathing and safe swimming (lifeguards patrol here in the summer months), go rock-pooling or just explore the ecology of the salt marshes at the western end of the beach, where East Head marks the entrance to Chichester Harbour. 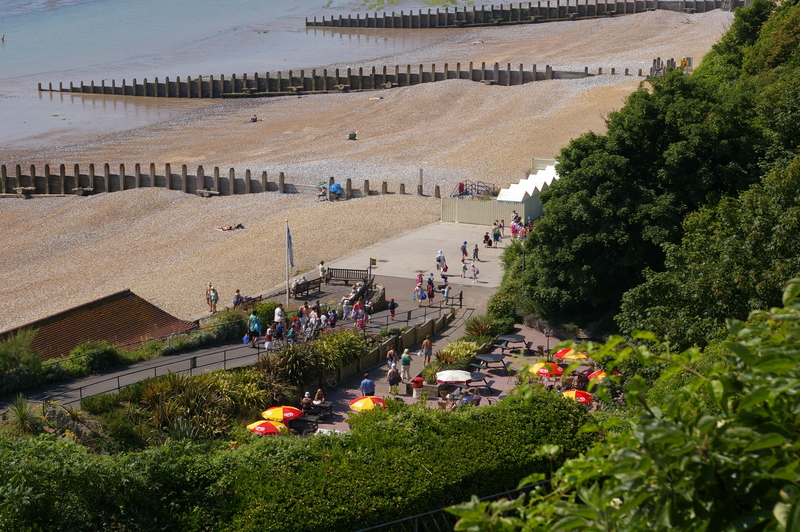 Behind the beach, the South Downs stretch away to offer lots of great countryside walks, too. Getting there: one hour 30 minutes by train from London Victoria to Chichester, plus a bus ride to the beach; approx two hours by car. Rediscover your childhood on a one-third scale steam railway, explore strange World War I concrete ‘listening ear’ radar devices and discover houses made of neoprene and old railway carriages in this most surreal corner of Kent. There’s some wonderfully idiosyncratic landscaping to enjoy, too – notably filmmaker Derek Jarman’s isolated home and garden. 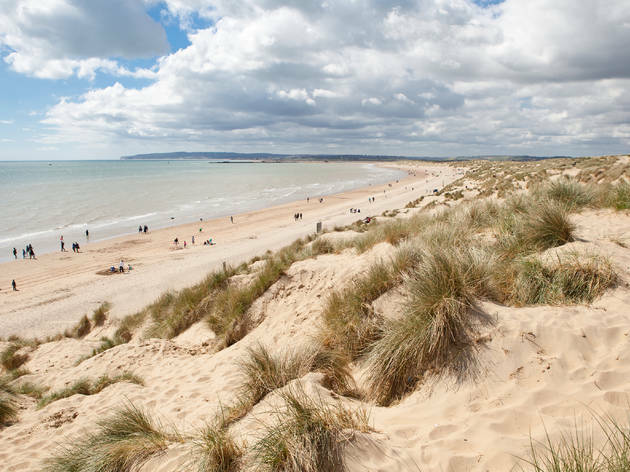 But the most memorable activity is a walk on the huge - and somewhat eerie - shingle beach, classified as Britain's only desert. Getting there: one hour by train from London St Pancras International to Folkstone, with a one hour 30 minute bus ride to Dungeness; approx two hours by car. Between Margate and Ramsgate, this strip of coastline is as understated as it is hidden, with no funfairs or slot machines, just a Blue Flag-awarded 600ft-long strip of sand and a kiosk in a pretty little cove that’s one of seven along this part of the Kent coast, all backed by the longest continuous stretch of chalk cliffs in Britain. 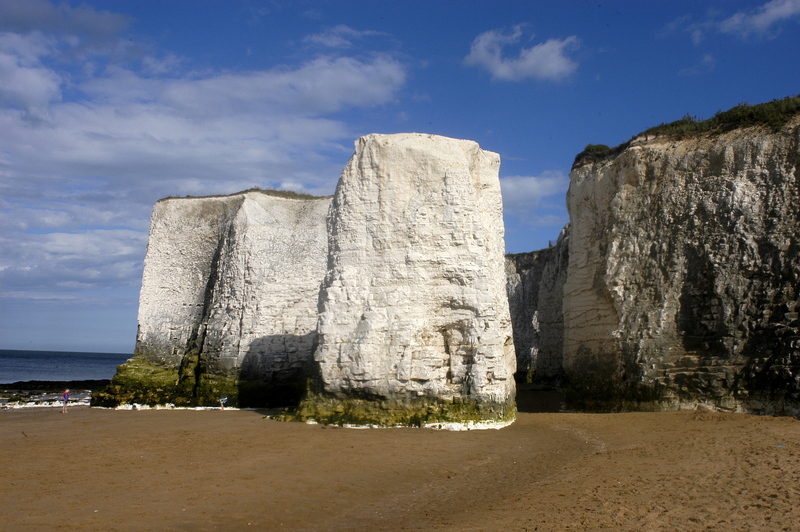 Should you need anything beyond a sandwich or ice cream, a low-tide seashore walk will bring you to Broadstairs in an hour. Getting there: one hour 25 minutes by train from London St Pancras International to Broadstairs, and a short bus ride; approx two hours by car. 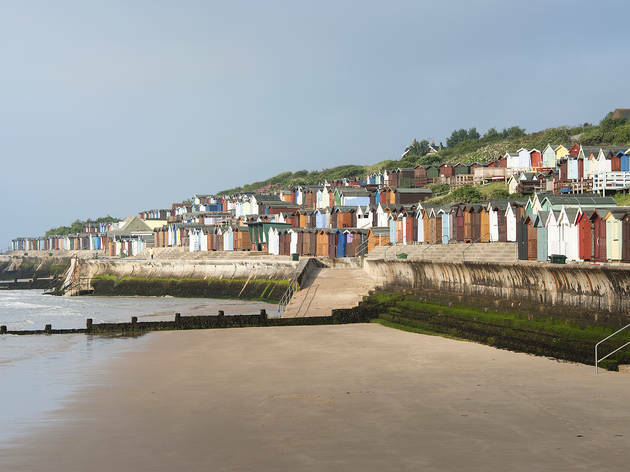 This long and lovely Blue Flag sandy beach on the north Kent coast is a firm family favourite, offering lots of free parking, a children's outdoor play area and a paddling pool that’s perfect for discovering crustaceans and other marine life. 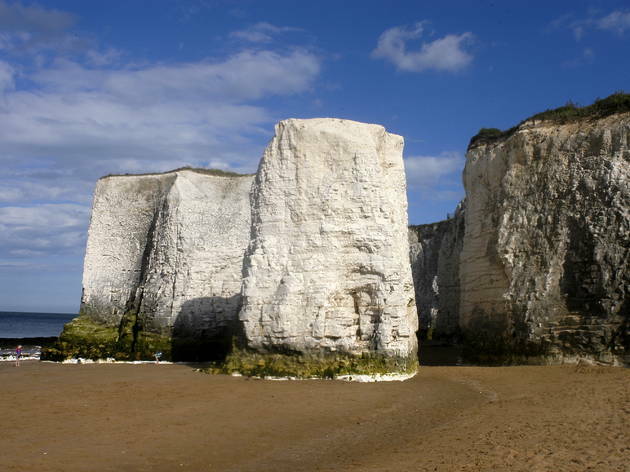 Windsurfing, kite boarding, sailing and a restaurant with a bar and great sea views should keep older daytrippers happy too, while walkers and cyclists are well-served with the Viking Coastal Trail, a 27-mile trail along the Thanet coastline. Getting there: one hour 30 minutes from London St Pancras International to Birchington-on-Sea, and a short walk; approx two hours by car. There aren’t many beaches near London that involve a tide timetable, but Britain’s most easterly inhabited island does, being an estuary island reached via the Strood – an ancient Roman causeway linking it with the mainland. 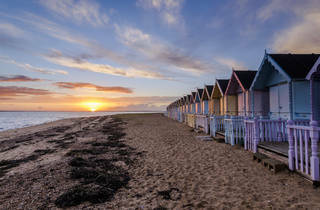 Foodies beat a path to West Mersea’s various oyster bars, while fossil hunters and nature-lovers make for East Mersea’s quiet beaches backed by cliffs that have revealed shark's teeth and animal bones dating back 300,000 years. Wine aficionados can pick up a local souvenir at the Mersea Island Vineyard and Brewery. 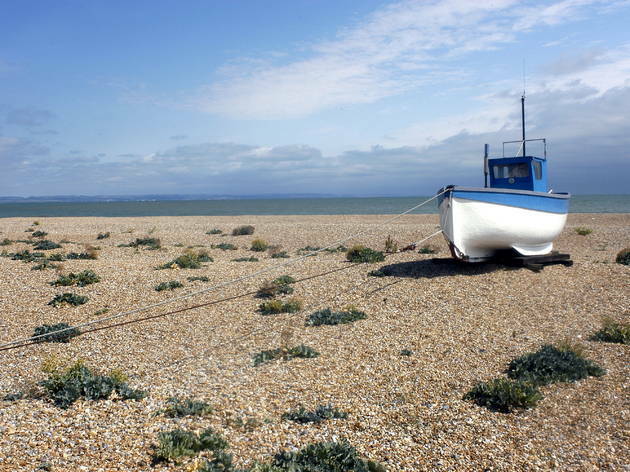 How to get there: one hour by train from London Liverpool Street to Colchester, then a 45 minute bus to Mersea Island; approx two hours by car. 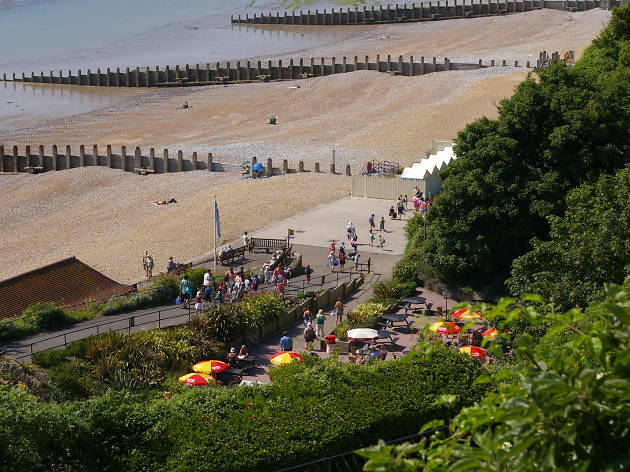 Eastbourne’s long zig-zagged shingle beach at Grand Parade is an understandable draw, but just on the edge of town, at the end of the promenade and past the Italian Gardens and Holywell Tea Chalet, Holywell Retreat is worth seeking out. 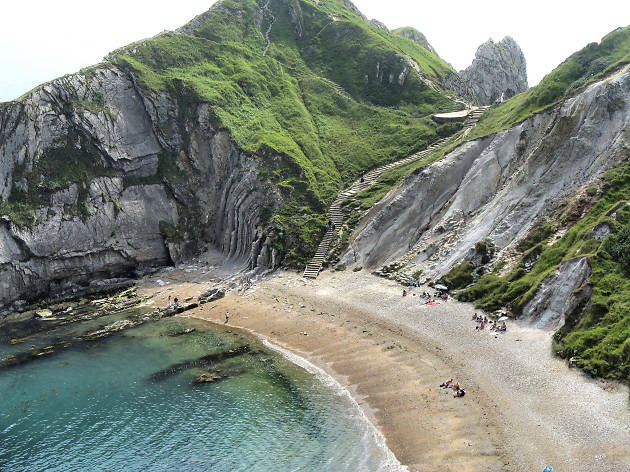 It’s a laidback, peaceful little shingle beach that has some pretty blue and white beach chalets on it, backed by the gorgeous white cliffs of Beachy Head. 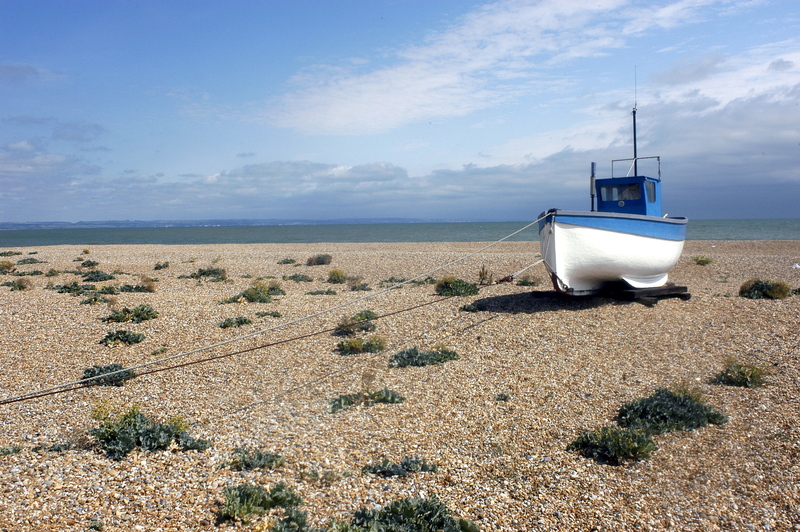 The South Downs coastal path and Rick Mathers’s elegant Towner Gallery of Contemporary Art are two more reasons to visit. Getting there: one hour 30 minutes by train from London Victoria or London Bridge to Eastbourne; approx two hours 30 minutes by car. A faded prom and an old-school funfair give Littlehampton a ramshackle air that’s stopped it becoming too hip, despite the architecture fans and foodies making for Thomas Heatherwick’s sculptural East Beach Café, which looks like a weird giant piece of driftwood that’s washed up on the gorgeous sand beach. It’s a great one for swimming, particularly if you head past the groynes, while neighbouring West Beach offers great homemade ice cream and gourmet fish and chips in the Asif Khan-designed West Beach café. Getting there: one hour 40 minutes from London Victoria or London Bridge to Littlehampton; approx two hours 30 minutes by car. 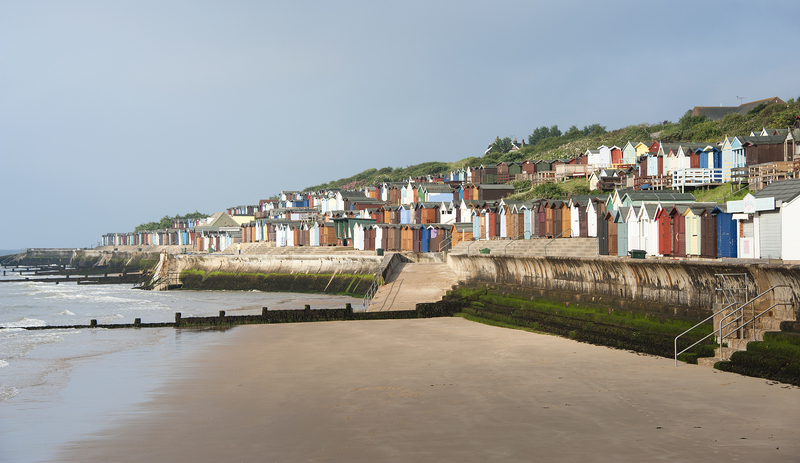 The lovely peninsular that Walton on the Naze sits on is filled with interesting things to do, including hunting for turtle and bird fossils, a climb up the 86ft shipping tower-turned art gallery for spectacular panoramic views over the Essex coast, and spotting common harbour and grey seals at the Hamford Water Nature Reserve. Boat trips are likely to reveal all sorts of other wildlife and plant life too in a rich area of tidal creeks, mudflats, salt marshes and grasslands. 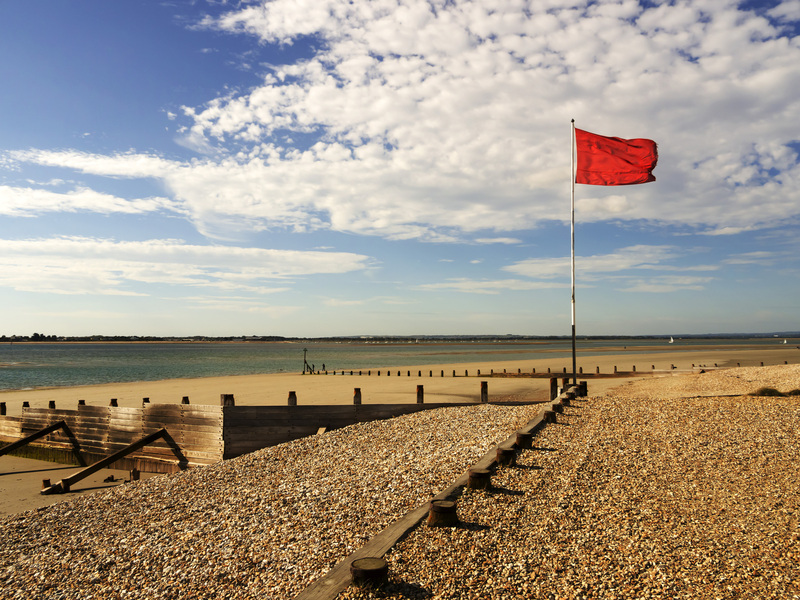 Oh, and the Blue Flag beach isn’t to be sniffed at either. Getting there: one hour 50 minutes from London Liverpool Street to Walton-on-the-Naze, with a change at Thorpe-Le-Soken; approx two hours 10 minutes by car. Travelling further away from London?